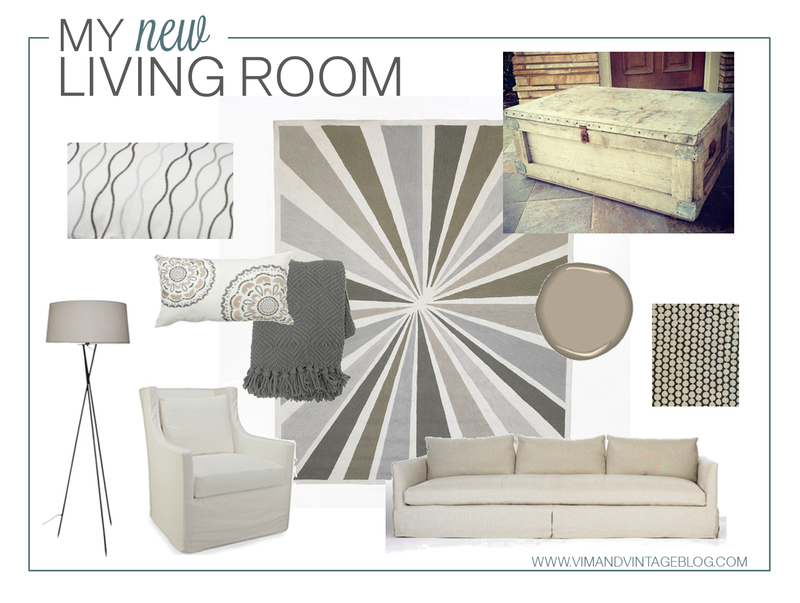 home renovation: living room | Vim & Vintage - design. life. style. Now that the Texas summer heat is gone, it’s time to start thinking about the home renovations once again. As you remember, our home that we bought earlier this year is a 50’s Ranch style with a Mid Century feel that needs (many!) updates. We ripped up the floors and installed beautiful walnut hardwood throughout and painted, but now its time to furnish this B. No better place to start than the Living Room, which I hope to have complete just in time for the Holidays. This was our last setup at our previous home. I splurged on my Lee Industries Chairs & Verellen Sofa from Pizitz when I was still living in Florida….so when we moved from the beach to the 1920’s Bungalow Cottage near the river, these lovely pieces worked perfectly. 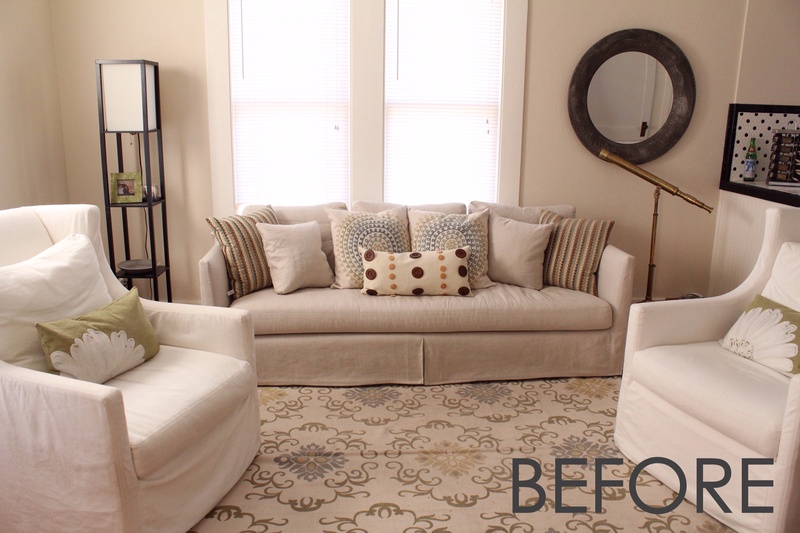 Of course I’m keeping the sofa and chairs, but I wanted to bring some other pieces in to tie what I have together and make the home feel more modern. We painted the walls in the Living Room Worldly Gray by Sherwin Williams, so I’m going to bring in more of the charcoals and grays into the room. If you follow me on Facebook or Instagram, then you remember when I came home with this little treasure. 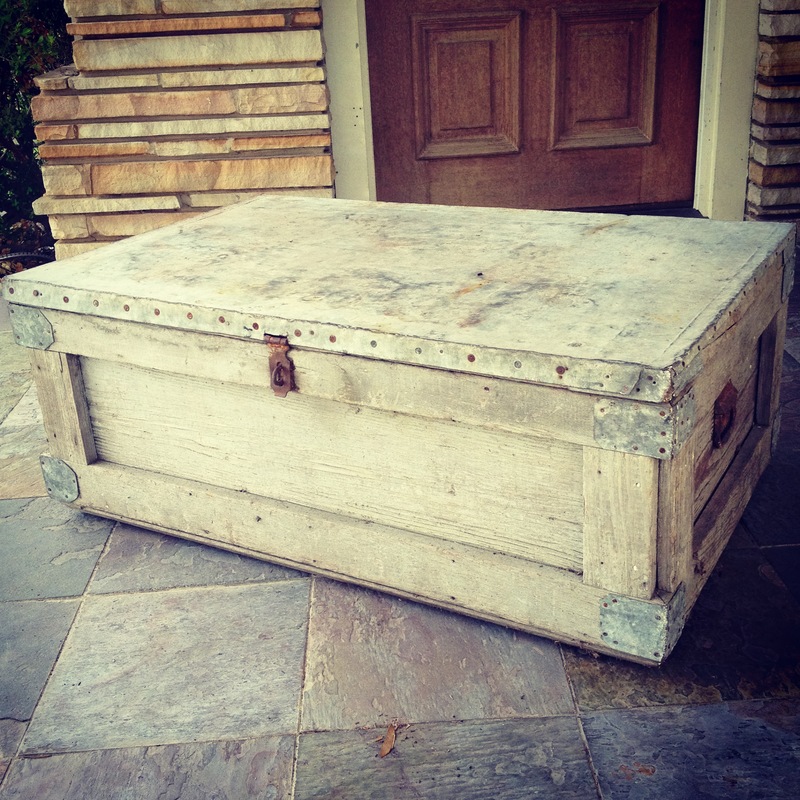 This Zinc top Chest for $75 is now our Coffee Table. Can’t wait to see how it all comes together! ← this is my life. i get 1. i’m not settling for less. That chest is a great find! One special piece like that can really add to the overall character of the room.